Hamilton Center, Inc. held an open house and ribbon cutting to commemorate the grand opening of Western Indiana Recovery Services, an Opioid Treatment Program (OTP), in Vigo County, Terre Haute, IN. The new treatment facility is located at 88 Wabash Court in Terre Haute, just behind the Courthouse and is Vigo County’s first opioid treatment program certified by the State of Indiana. 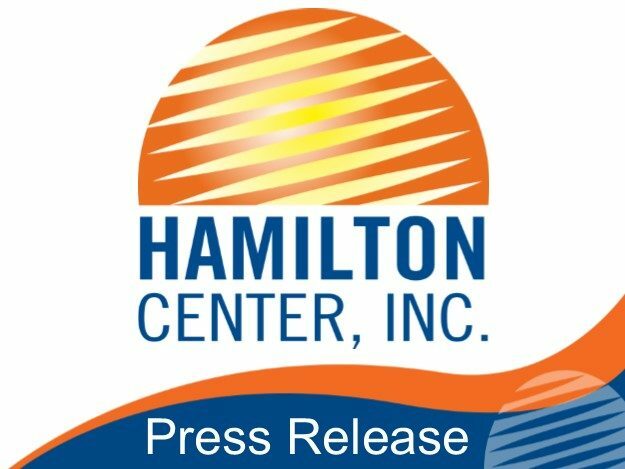 Hamilton Center has been working with the State of Indiana for approximately a year in preparation of opening the new clinic. Community partners as well as the general public toured the new facility and met key staff that were instrumental in the development of the program. Sagamore Medical Recovery Services, LLC, with whom Hamilton Center will be partnering, will provide the medical services and Hamilton Center will provide the behavioral health services in the clinic. Western Indiana Recovery Services was represented by Melvin L. Burks, CEO, Hamilton Center, Inc., Ahsan Mahmood, MD, Chief Medical Officer, Hamilton Center, Inc., Jennifer Hutchens, PsyD, Acting Chief of Addiction Services, Hamilton Center, Inc., Christian Shaw, MD, PhD, Medical Director of Western Indiana Recovery Services and Scott Burns, Program Director of the clinic. Western Indiana Recovery Services will combine medication (methadone) assisted treatment coupled with behavioral health services including individual therapy, group therapy and case management services. The clinic is now taking appointments and will be open from 6:00 am – 12:30 pm Monday through Friday and weekends/holidays 7:00 am – 10:00 am. Features of the approx. 3500 square foot facility include five medication dosing stations, separate drug screening rooms, physical examination room, and rooms for individual and group counseling. Black and white photography of local landmarks adorn the walls compliments of the Vigo County Historical Society and local photographer Wayne Jordan. “We are so pleased to be opening the first Opioid Treatment Program in Vigo County,” said Hamilton Center CEO Melvin L. Burks. “The opioid epidemic affects not only the person struggling with addiction but affects family, friends, first responders, the healthcare system, the criminal justice system and the entire community, “he said. Hamilton Center, Inc. is a regional behavioral health system in Central and West Central Indiana. Services are provided to adolescents and adults, with specialized programs for expectant mothers, infants, and people with drug and alcohol problems. Counseling services are provided for people who may be struggling with stress, life changes, or relationship issues as well as more serious problems such as depression, anxiety disorders, and serious mental illnesses. 13,000 clients are served each year by the organization, over 5,000 of those people are from Vigo County. Sagamore Medical Recovery Services, LLC, was formed in 2016 by Christian Shaw, MD, PhD, and his partners. Dr. Shaw is a leader in the field and has worked to develop the most successful, innovative and respected methadone based opioid treatment program in New Mexico. To schedule an appointment at Western Indiana Recovery Services, call (833) 232-0215.